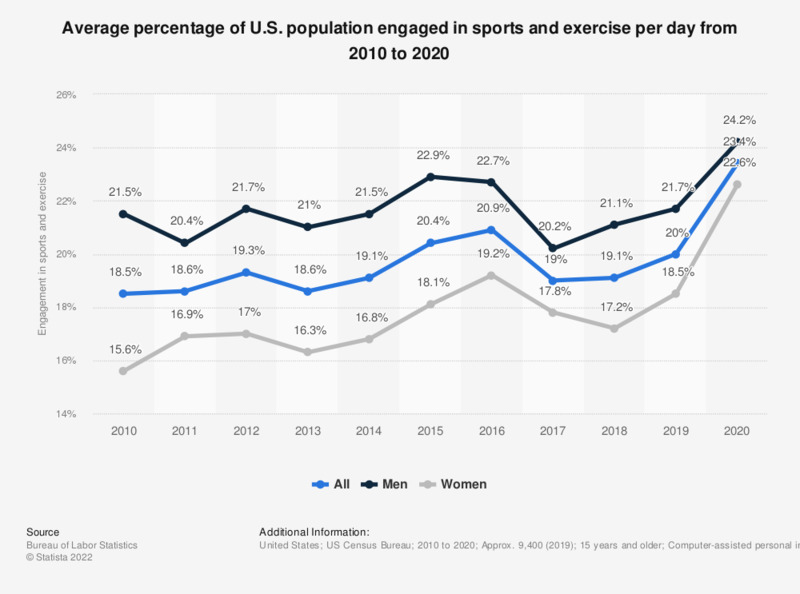 This graph depicts the average percentage of the U.S. population participating in sports, exercise and recreational activities per day by gender from 2010 to 2017. According to the source, 20.2 percent of men participated in sports, exercise and recreational activities every day in 2017. * Sports, exercise, and recreation activities include participating in - as well as attending or watching - sports, exercise, and recreational activities. Recreational activities are leisure activities that are active in nature, such as yard games like croquet or horseshoes. On a scale of 4 (worst) to 10 (best), how happy are you overall with your current life? India: How many hours a week do you exercise/participating in sport activities?